The Ankh, also known as key of life, the key of the Nile or crux ansata, was the ancient Egyptian hieroglyphic character that read “eternal life”, a triliteral sign for the consonants ʻ-n-ḫ. Egyptian gods are often portrayed carrying it by its loop, or bearing one in each hand, arms crossed over their chest. It is by Egyptologists called the symbol of life. It is also called the ‘handled cross,’ or crux ansata. It represents the male triad and the female unit, under a decent form. There are few symbols more commonly met with in Egyptian art. In some remarkable sculptures, where the sun’s rays are represented as terminating in hands, the offerings which these bring are many a crux ansata, emblematic of the truth that a fruitful union is a gift from the deity. E. A. Wallis Budge postulated that the symbol originated as the belt-buckle of the mother goddess Isis, an idea joined by Wolfhart Westendorf with the notion that both the ankh and the knot of Isis were used in many ceromonies. Sir Alan Gardiner speculated that it represented a sandal strap, with the loop going around the ankle. The word for sandal strap was also spelled ʿnḫ, although it may have been pronounced differently. 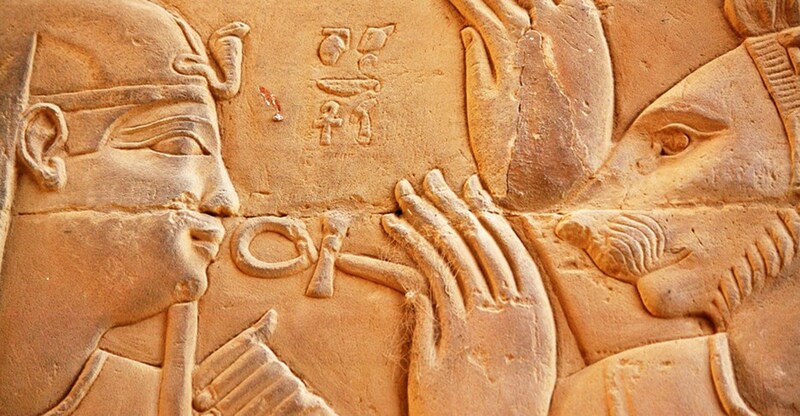 Egyptian academics, in particular those at the University of Cairo, aver that the ankh has been over-interpreted and that it is representative of the pivotal role of the Nile in the country. The oval head is said to represent the Nile delta, with the vertical mark representing the path of the river and the East and West arms representing the two sides of the country and their unification. The ankh was almost never drawn in silver; as a sun-symbol, the Egyptians almost invariably crafted important examples of it (for tombs or other purposes) from the metal they most associated with the sun, gold. A similar metal such as copper, burnished to a high sheen, was also sometimes used. David P. Silverman notes the striking example of how the depiction of the Ancient Egyptian Ankh was preserved by the Copts in their representation of the Christian cross. Paul, the DHARMA Initiative member was wearing an Ankh necklace. After he was shot and killed by The Others, his wife Amy took and kept his Ankh. Jacob’s Chamber is revealed to be sitting at the base of a giant statue of Taweret. 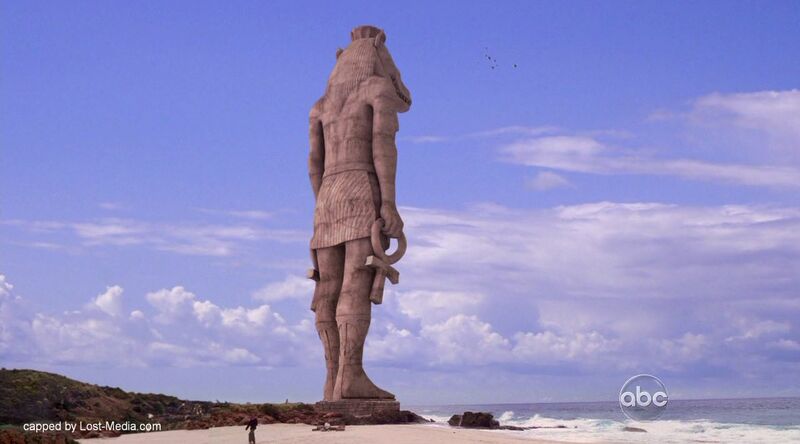 The statue is seen holding Ankh’s in both hands. 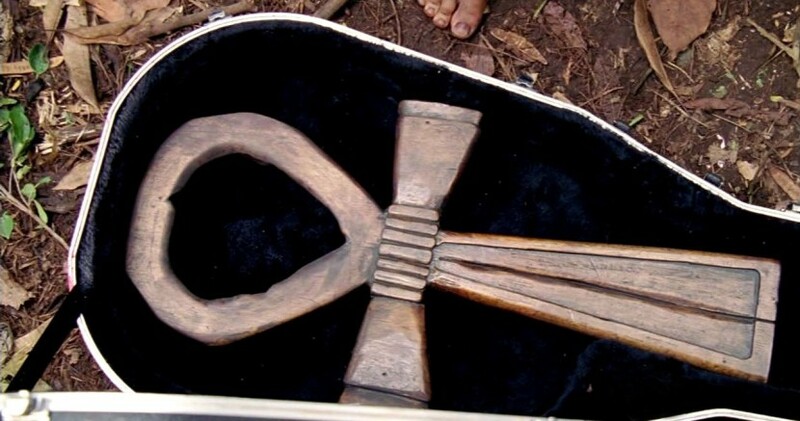 Jacob gave Hurley a guitar case containing a large wooden Ankh to bring back to the Island. Hidden inside the Ankh was a scroll with the names of the Candidates. 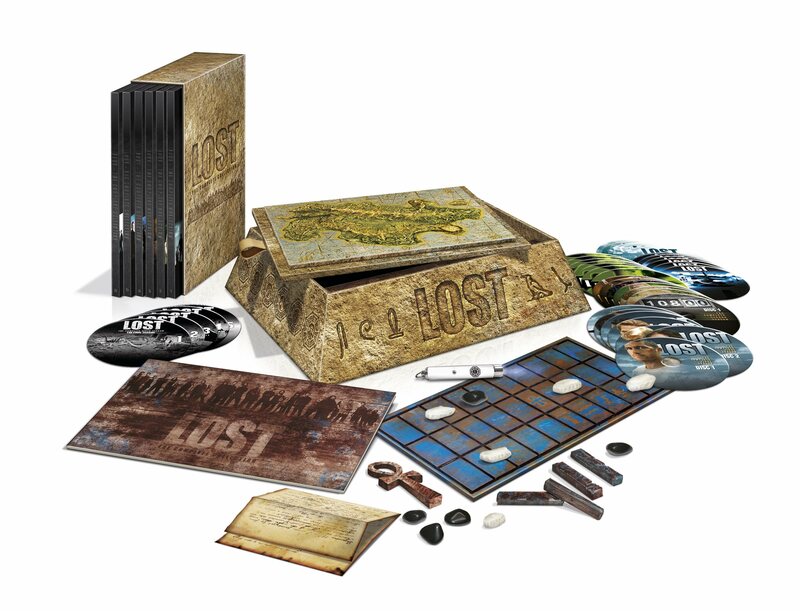 An Ankh can be found within the Premium Collection Boxset.